Last Sunday of the Month 10.10am. We have a short Meditation before our Divine Service in The Green Room Adastra Hall, 31 Keymer Road, Hassocks BN6 8QH. Doors open at 10am and close at 10.10am on the last Sunday of the month for a short Meditation. 1 The Meditation Group is a group where you are taken on a lead meditation by an experienced facilitator who will keep an eye on everyone in the group whilst in meditation, it is held Monthly on the last Sunday of the month before our Divine Service which you are welcome to stay to (free will offering. 2 A Philosophy, Higher Development Circle is for persons who have already developed a keen level of awareness and would like to develop their gift further by understanding & channelling philosophy . 3. 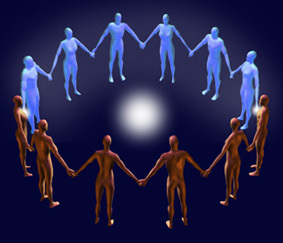 A Development or awareness group is a meeting where people can learn to develop their spiritual & psychic gifts in a safe environment, either mediumship, clairvoyance, spirit art, automatic writing, working with pendulums, oracle cards, ribbons, colours, scrying, psychometry etc. 4 As qualified Healer Trainers we are available to train would be healers, to a level so that they can obtain the necessary insurance, can work with the general public, and eventually obtain a certificate of competence. 5 A Physical Development Group requires a High level of commitment and is experimental. Physical Phenomena Training Circle/Group is to explain, encourage, and explore any form of physical phenomena including transfiguration, overshadowment, apports trance manifestation of illumini or ectoplasm but not limited to this list.